Periodista Comunitario de ‘Tu Voz Digital’ Mario Aguilar nos brinda un momento durante la legislatura de Nuevo Mexico 2019 con la Representante Legisladora de Las Cruces, Angelica Rubio. Nos da su perspectiva sobre la contribucion de las comunidades inmigrantes en los estados de la frontera y tambien su opinion sobre las politicas del actual presidente de E.U. dichas comunidades. ‘Tu Voz Digital’ es un proyecto de Encuentro Nuevo Mexico. Angelica Rubio, representative of the New Mexico legislature is with us on behalf of the city of Las Cruces. Born in Roswell and with the influence of her two hardworking immigrant parents, Angelica gained a particular hunger for politics that was inspired from her parents livelihood. She is currently working as an executive director for an organization called “Comunidades de Acción y Derechos” where she works to find justice for the immigrant people. She explains the relationship between Las Cruces and Mexico as being cousins who have shared a similar historical narrative. 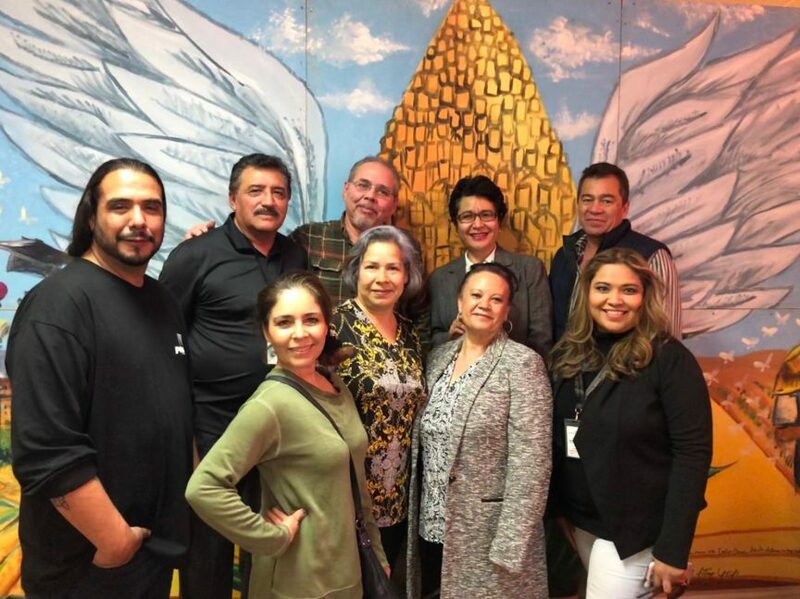 By representing New Mexico’s legislature she hopes to provide the true narrative of the hard working community of united families which has otherwise been distorted by our current political climate. Angelica says, “Somos gente bonita, no más queremos lo mejor para nuestras familias.” (“We are good people, and we only seek the best for our families.”) She is eager to announce Governor Michelle Lujan Grishams bill 462, which will provide outdoor recreational programs for the local youth regardless of their race or economic class. This is something positive to look forward to in the midst of the controversy revolving the border wall. Angelica explains that Trump isn’t aware of true American values due to his lack of moral concerns for basic human rights. She continues to elaborate on the idea that his presidency is inherently violent to everyone, and that the wall is a symbol of racial violence more than protection. Angelica’s chosen line of work has nothing to do with a want for economic status, she says that fighting white supremacy is the reason she wakes up in the morning.